My hubby, kids, and grandkids all tell me that I’m a good cook. In fact, some say that I make the best hot sauce (picante style), tamales, tacos, and a few other dishes (which are not all Mexican food). And I do like to cook, but I don’t like to spend all of my time in the kitchen! 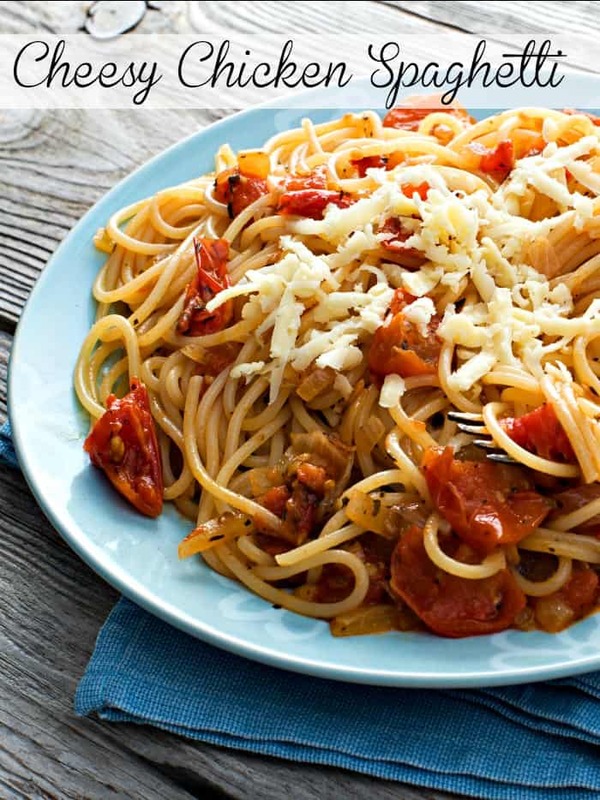 I like quick, easy meals with just a few ingredients. 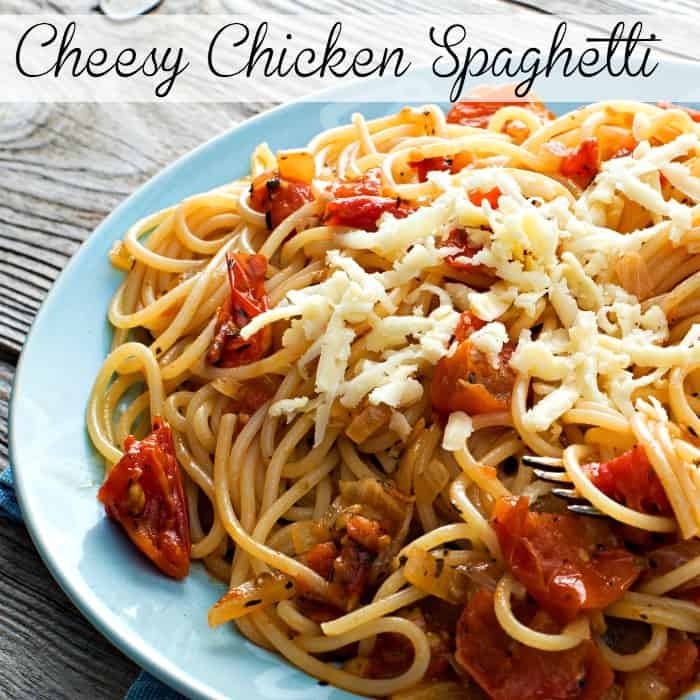 Cheesy Chicken Spaghetti is one of my family’s absolute favorites! I got the idea from a friend for this recipe so long ago that now, I can’t even remember quite who shared this great meal with me. I really love delicious 3-ingredient recipes, so if you have any suggestions, feel free to comment below! Boil the chicken in 2 quarts of water in a 4-quart saucepan for approximately 20 minutes. 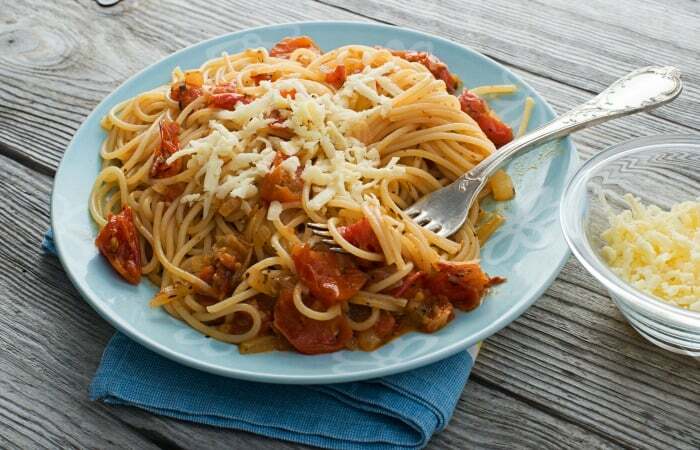 Remove chicken from broth and add spaghetti, cooking as indicated on package. While the spaghetti is cooking, cube the cooked chicken and the Velveeta. When the spaghetti is done, drain the broth and add the cubed chicken and velveeta. Stir and season to taste (seasoning suggestions: salt, pepper, Italian seasoning). Serve and enjoy!